Home to Dr. Martin Luther King, Jr., the civil rights movement, Coca-Cola, and startup successes like MailChimp, Atlanta is steeped in cultural history and thrives on its shared entrepreneurial spirit. Inclusivity is certainly what makes Georgia's capital unique and in recent years, has attracted a diverse influx of new city dwellers with its 22-mile Beltline trail development, a burgeoning film and hip hop industry and nationally acclaimed chefs, mixologists and food halls like Krog Street and Ponce City Market.True to its Southern core, the booming restaurant community in Atlanta has brought us together with authentic soul food and ethnic cuisines from Buford Highway. 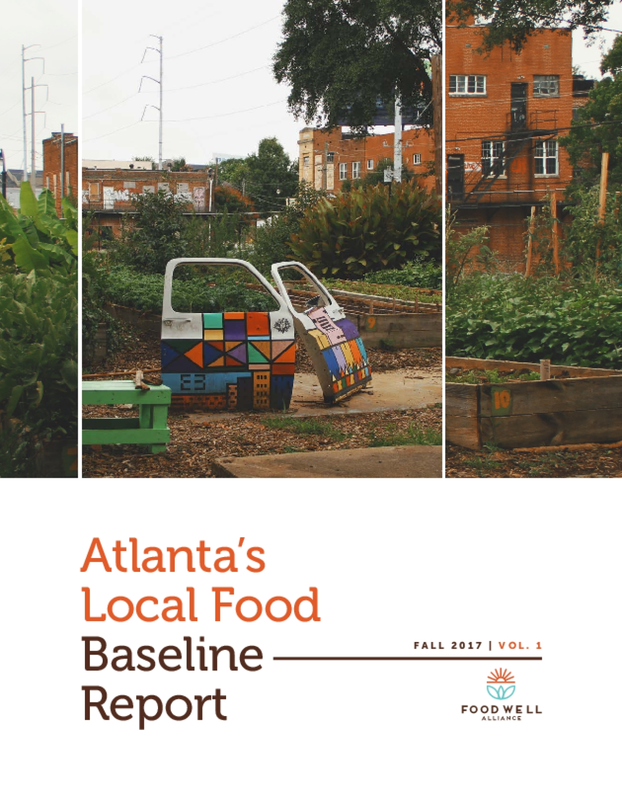 But if you live in Atlanta, the effects of our current industrialized food system are too visible to ignore. Neighborhoods lined with gas stations and fast food chains, without a grocery store in sight, are commonplace. We also see the effects in our school lunches, in our rising rates of obesity, in our depleted soil and in our separation from where food is actually grown.It is in these neighborhoods and schools where leadership and innovation have taken root, quite literally. Born out of necessity, urban agriculture has brought fresh, sustainably grown food to the Atlantans who most need it. Today, it has the potential to ensure that our ever-evolving, multicultural city boasts a resilient local food system just as vibrant, forward thinking and accessible as its parks, music and art. Copyright 2017 by Foodwell Alliance. All rights reserved.